You want to climb Mount Kilimanjaro but you know the daunting height of 5895m/19,340’ makes it a challenging mountain to summit. Remember, it is the altitude and not the long uphill hiking distance that prevents most people from reaching the Roof of Africa. You probably know that « high altitude » goes with « lack of oxygen ». Indeed, because of the lower atmospheric pressure with increasing altitude the air is less dense and so less oxygen enters your lungs with each breath. But with time your body can and does adjust to the lower pressure at higher altitude so that your lungs receive sufficient oxygen for your body to function smoothly and so you do not feel terribly ill nor experience more dangerous symptoms of altitude illness. 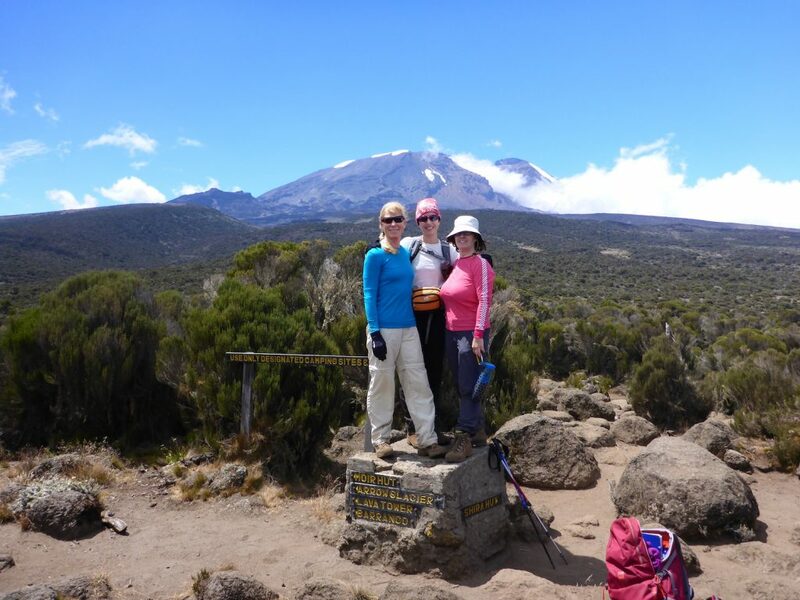 If you were to spend several weeks climbing Kilimanjaro by ascending no more than 100m/300’ each day your body would acclimate slowly and readily so you would feel almost normal while standing on the summit. Still, without that kind of time, one can follow some simple rules to help the acclimatization process during those precious few days that you have for climbing Kilimanjaro. 1. The first and essential rule is to plan a minimum of 7 days on the mountain. Some climbers do it in 6 or even 5 days and are able to reach the summit. 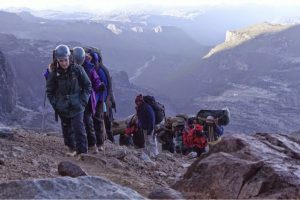 However, 7 days is a proven minimum that will give you sufficient time to acclimatize enough to significantly reduce the likelihood of severe altitude illness that could prevent you from achieving your dream on Kilimanjaro. 2. 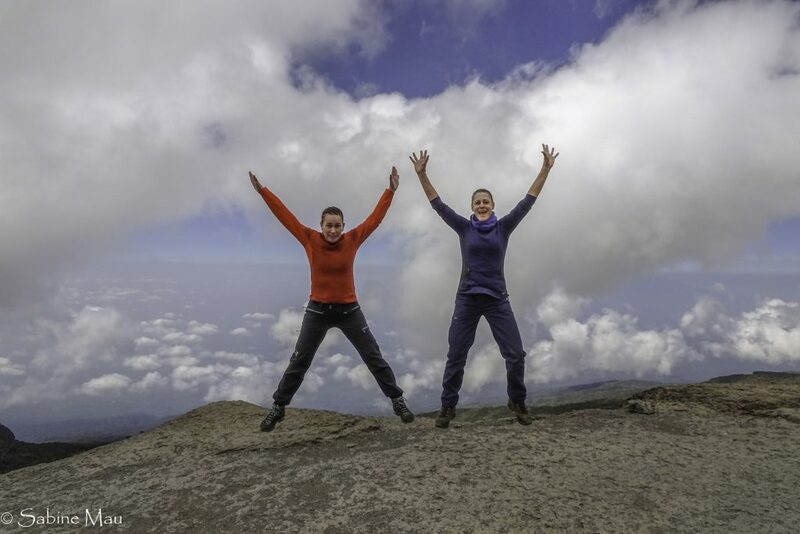 Don’t start your climb right after landing in Tanzania! Rest and recover from your flight and time zone change with a day or twoat a hotel in Moshi at the foot of Kilimanjaro. Even better is to start your acclimatization at 1800m/5,900’ on the slopes of Kilimanjaro at SENE’s Mbahe Village cottages. Your body needs to rest after your long journey fromhome and you need to psychologically adjust to being in a foreign country. During this time do not over-exert yourself; light walking and sightseeing is the perfect activity. Enjoy the adventure in Tanzania! 3. Once on the mountain, a slow walking pace is an essential rule. 4. Ensure that you stay well-hydrated. Don’t wait until you are at “altitude” on the mountain to start drinking heavily. Begin drinking lots of water from the time you get on the plane and keep hydrated at all times. The dry air at altitude causes dehydration, which contributes to altitude illness. Use sport drink powders to provide flavor and additional nutrients. And, yes, it means you may need to leave your tent several times throughout the night – it is a small price to pay for being able to stand on the summit! 5. Keep a positive attitude! Additional tip: Check if you have an iron deficiency, which is common among vegetarians and woman who are pregnant. Iron helps make red blood cells, which carry oxygen throughout your body. With a full complement of red blood cells, your body can carry more oxygen. In all cases . . . listen to your body – you are the one who knows it best! If, despite following these golden rules, you still experience altitude illness symptoms such as headache, nausea, and dizziness they should not be taken lightly. Discuss your symptoms with your guides. If the symptoms persist, you may need to descend and try another time.